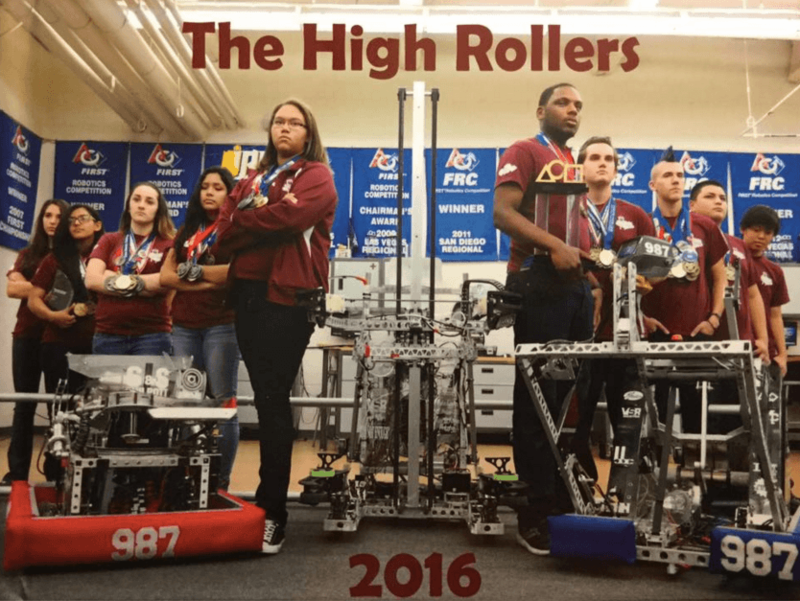 Nevada FRC Team 987, dubbed The High Rollers, is made up of energetic and talented local Cimarron High School students. In April 2016, this Las Vegas team took home the Chairman’s Award win at the 2016 FIRST Robotics World Championship! This year, more than 20,000 students ages 6-18 from around the globe traveled to St. Louis, putting their engineering skills to the test. The High Rollers won the Chairman’s Award, which is the highest honor given at the FIRST Robotics Competition Championship. It recognizes the team that best represents a model for other teams to emulate and best embodies the purpose and goals of FIRST. The FIRST Robotics Competition combines the excitement of sports with the rigors of science and technology. Teams of 25+ students are challenged to raise funds, design a team “brand,” hone teamwork skills, and build and program robots to perform prescribed tasks against a field of competitors. It’s as close to “real-world engineering” as a student can get. To help along the way, volunteer Mentors gave their time and talents to guide each of the teams. Relive the excitement of #FIRSTChamp by watching this highlight reel!